In 1990 prominent business man Sir Robert Jones donated this statue to the city of Hamilton to "commemorate the ordinary farming family as being the unsung heroes of our first 150 years". The statue, is a bronze life-sized sculpture by Margriet Windhausen van den Berg of Timaru, NZ. 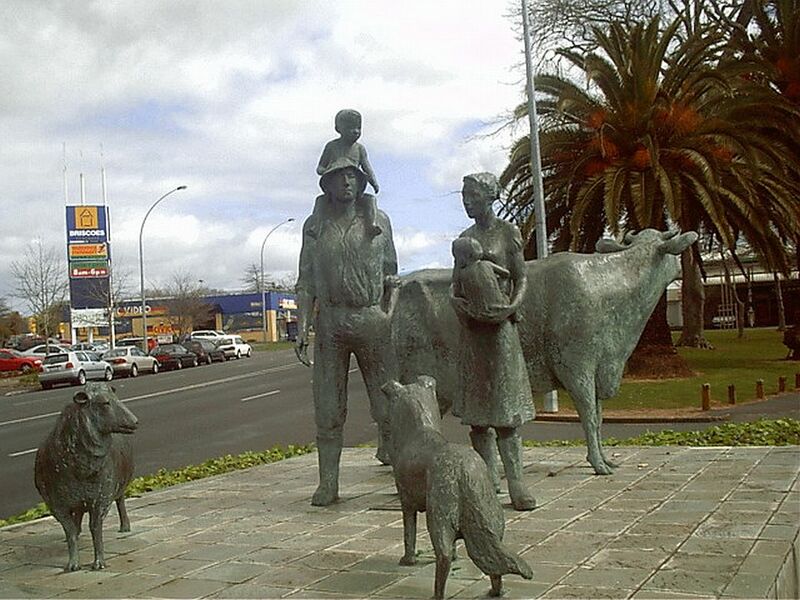 The Farming Family consists of a male farmer and his wife, two young children, a dairy cow, a sheep and a dog and is located on a traffic island at the intersection of Victoria Street and the southern end of Ulster Street.